Everywhere near Asia’s shores, one can definitely count on getting fresh seafood. As a result, Bangkok is no exception — there is a particular abundance of seafood restaurants in Bangkok. Located in the heart of the city, Novotel Bangkok Ploenchit Sukhumvit is home to The SQUARE Restaurant. With homegrown produce and imported delicacies, the all-day dining space offers a treasure trove of seafood creations. Recognised as one of the most premier and best-value seafood restaurants in Bangkok, The SQUARE Restaurant makes life easier. 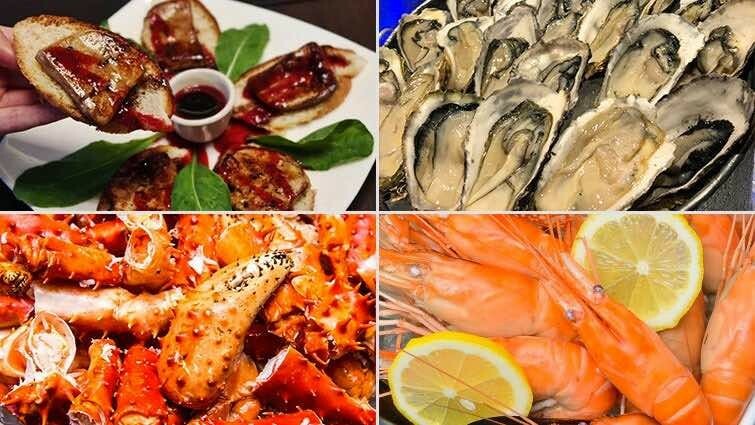 At an affordable price, you’ll get to savour a delicious array of international and local cuisines made with the freshest seafood in a buffet-style. Seafood lovers, you wouldn’t want to miss our Weekend Seafood Dinner Buffet. In fact, there are so many seafood restaurants in Bangkok, that choosing can be difficult. Let us help make your decision easier. Novotel Bangkok Ploenchit Sukhumvit offers one of the best value-for-money seafood restaurants in Bangkok. The SQUARE Restaurant is amongst the best seafood restaurants in Bangkok for many reasons. First of all, it has got a series of lunch and dinner buffets featuring worldly cuisines. For instance, every Friday and Saturday evening, The SQUARE Restaurant presents the Weekend Seafood Dinner Buffet. The sweet deal also includes a free-flow of soft drinks. For appetisers, you’ll want to begin with the delectable seafood on ice. Giant river prawn, tender rock lobster, New Zealand mussels, Alaskan king crabs and much more. There will also be expert sushi chefs making handcrafted sashimi and sushi on the spot. For those who enjoy freshly shucked oysters are in luck, as we serve Osole oysters from South Korea. Most noteworthy, these large oysters are best known for its sweet and briny character. However, The SQUARE Restaurant is more than just a seafood restaurant in Bangkok. Our talented culinary team has a selection of international and local favourites prepared for you. Meat lovers will be happy to hear that we’ve got juicy roast meats over at our carving station. This includes roasted Angus ribeye and roasted lamb leg with bread stuffing. In addition, there will be pan-fried foie gras, tasty salads, heart-warming soups, Indian curries and oven-baked pizzas. Served with brioche bread and apricot jam, the pan-fried foie gras is not to be missed. You’ll get to order made-to-order pasta by selecting the pasta, sauce and ingredients for our chef to create for you. Above all, there will be a wide range of Thai specialities for you to choose from. Home to fire and spices, Thailand is famed for its traditional and original recipes. As one of the best seafood restaurants in Bangkok, The SQUARE Restaurant will show you how authentic Thai recipes shine the spotlight on local produce and imported ingredients. This includes Thai grilled locally caught fish wrapped in banana leaf and tom yum river prawn soup. The buffet menu changes on a seasonal basis to keep things fresh and interesting for our guests so, please do check with us for the availability of specific dishes. Aside from being one of the top seafood restaurants in Bangkok, The SQUARE Restaurant also crafts an irresistible selection of desserts. Here, you’ll get to end the buffet on a sweet note. Tempt your taste buds with indulgent cakes, decadent ice cream, Thai sweets and fresh tropical fruits. You may also order a pot of tea or coffee while you savour the sweet confectioneries. The SQUARE Restaurant is probably one of the easiest seafood restaurants in Bangkok to commute to. 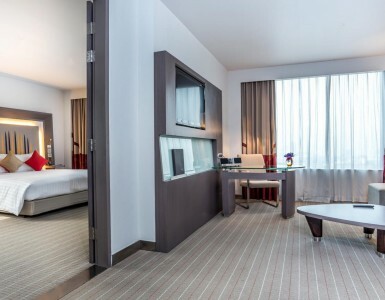 This is because Novotel Bangkok Ploenchit Sukhumvit is situated steps away from the BTS SkyTrain Ploenchit Station. 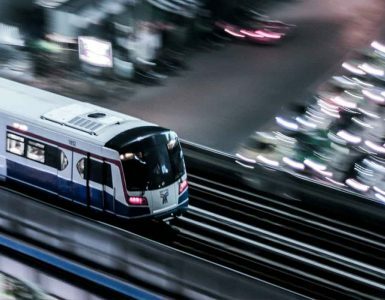 Regardless of where you are coming from, you can always swiftly hop on the BTS SkyTrain and arrive at The SQUARE Restaurant with ease. In other words, you can be in the business district of Sathorn or shopping destinations, such as Siam and Chidlom, and still be able to get to The SQUARE Restaurant in no time. We suggest our guests to explore the city during the day and retreat to Novotel Bangkok Ploenchit Sukhumvit for the best-value seafood buffet at The SQUARE Restaurant at night. If you’re coming by car, Novotel Bangkok Ploenchit Sukhumvit is located near the Bangna-Daokanong Expressway. Simply take the Sukhumvit-South Ploenchit exit and enjoy complimentary parking at our hotel’s parking lot — exclusively for buffet diners only. Weekend Seafood Dinner Buffet promotion in Bangkok at The SQUARE, Novotel Bangkok Ploenchit Sukhumvit is served every Friday to Saturday from 6.00 p.m. to 10.00 p.m.
Special Price: Up to 50% when book online and discounts available for Accor Plus members and holders of selected credit cards. Location: The SQUARE Restaurant, Novotel Bangkok Ploenchit Sukhumvit.